Homs - After the announcement of the "Abu Muhammad al-Adnani Offensive" earlier this week, ISIS is close to reaching one of their major goals of the military operation: re-taking the town of Sukhnah. The main push for the town began yesterday after fighting finally reached the area a few days ago. After establishing fire control over the M20 Road connecting the town with the nearby village of Arak, ISIS was able to surround Sukhnah from the west, east, and south. After attacking with a volley of armed pick-up trucks, ISIS was able to consolidate their foothold at the western gate of the town by capturing Jubayl Tuntur, which overlooks the area. Continued ISIS shelling was able to break down Syrian Army defenses in the north, allowing the group to fully besiege the town. The Syrian military was able to re-capture the town of Sukhnah from ISIS in August of this year after a long push to take central Syria that lasted over six months. The town had been held by ISIS since May of 2015, when fighters from the group routed Syrian troops in the town, killing 70 of them. The rout that was caught on camera and released through ISIS media. 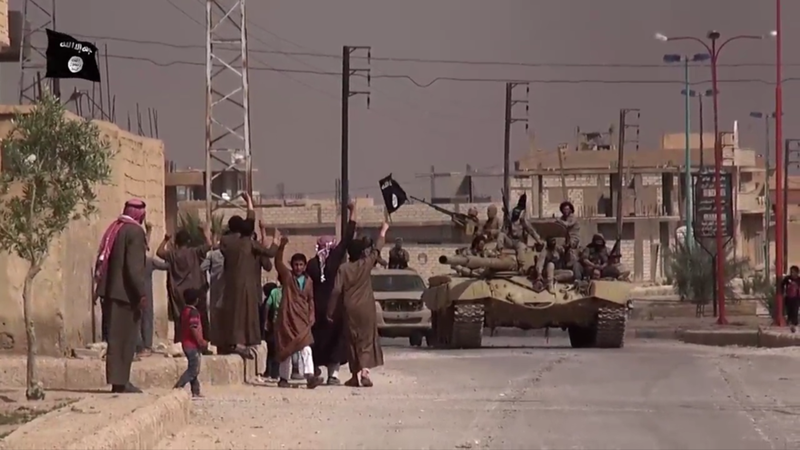 ISIS fighters march into Sukhnah after routing the Syrian military during the initial battle to capture the town in May 2015.